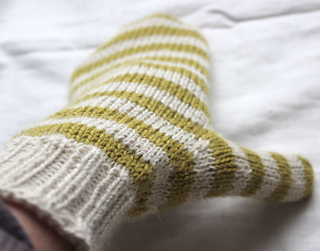 Simsala is a top-down mitten (or mitt) in quick-knitting DK. 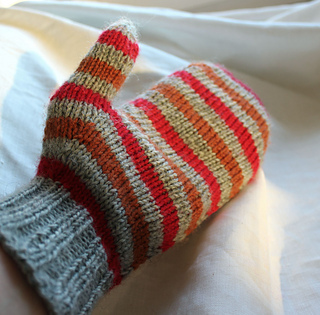 A thumb gusset makes for a good fit. The stripes contribute as is their nature to the greater good. 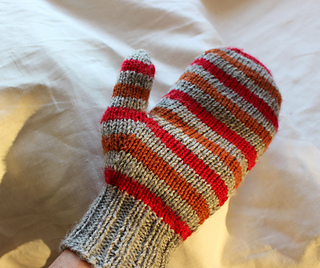 The mittens & mitts are worked on a long circular needle with the magic loop method. 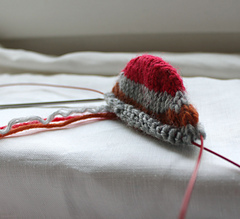 If preferred, you can of course knit on double point needles or two circulars. 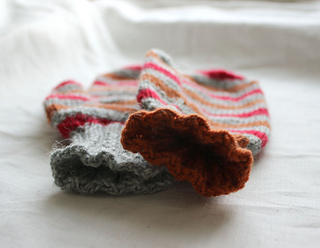 Perfect quick project for leftovers. 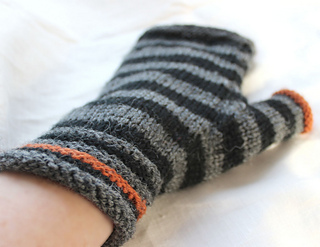 If you’re buying new yarn in three colours, three 50-gram skeins is enough for 1 pair of mittens & 1 pair of mitts (or two pairs of mittens if you switch the colours around). 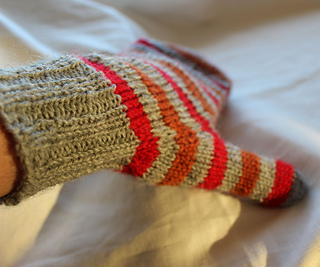 The large mitten or mitt is man-sized. The medium fits a medium-large woman’s hand. 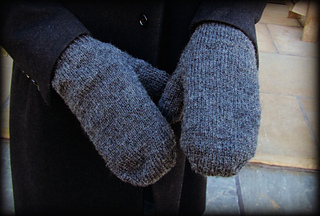 The small fits a small woman’s hand or a reasonably sized child (if such exist).